It can be difficult to know when the right time to sell comes around. Frankly, no one has a crystal ball, so the next best thing is cold, hard stats. I have isolated New Traditions in Maui Lani to show a few different variables: square footage, beds, and baths. Below you will find line graphs that are constantly updated (yes, you can come back to this blog a year from now and the stats will be updated) with the newest median sales price separated by each individual subcategory. I used square footage because of its broad coverage. Although one model might be larger another might have an extra half bath and so forth. I split the graph into two lines to represent a variable of 1,500 sq.ft. and below and 1,501 sq.ft. and above. As expected, the larger homes bring a higher sales price. Year over year the difference is about 6%. I actually used square footage to separate the 3 bedrooms from the 4 bedrooms (my stats program would not let me isolate anything higher than 3 bedrooms.) That being said, the smallest 4 bedroom was 1,448 sq.ft. and the largest 3 bedroom was 1,402 sq.ft. So, I used a division of 1,430 sq.ft. and below and 1,431 sq.ft. and above to show the bedroom variable. The results are almost identical to the square footage graph above. Year over year has a 6% difference between 3 and 4 bedrooms. In New Traditions, there are 2, 2.5, 3, and 3.5 bath models. For simplicity, I used 2 and 3 bathrooms for my two variables. The difference between the 2 and 3 actually surprised me. 3 bedrooms brought an average 8.1% more than the 2 bathrooms. Want Know What Your Home is Worth? Each home, even within a small neighborhood such as New Traditions, varies drastically. Finishes, location, and timing all take part differentiating each home from one another. 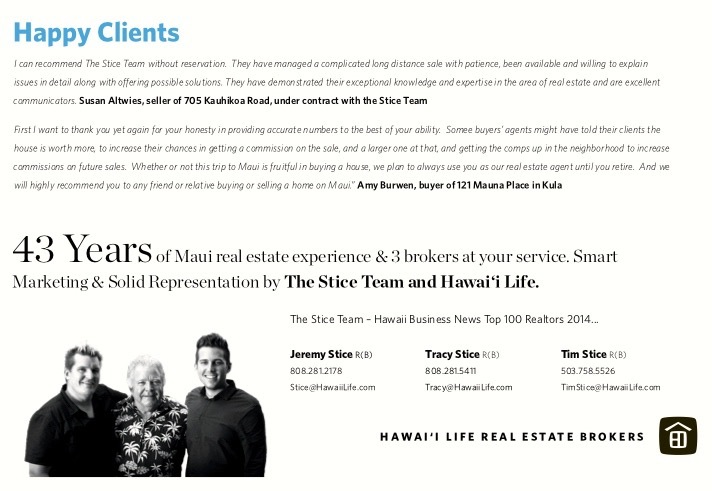 If you are looking to sell your home, give us a call or email and let our 46 years of real estate experience go to work for you (check out some of our recent success in Maui Lani). 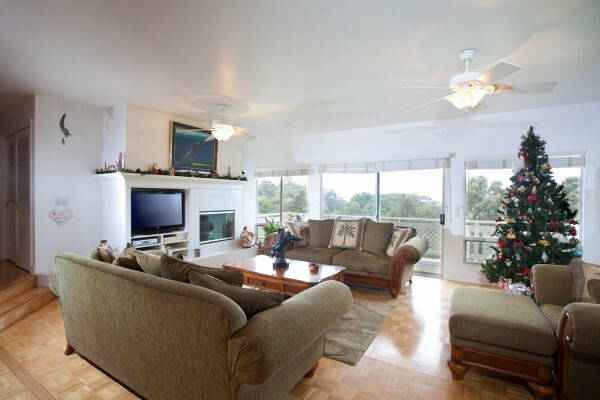 We can come review your home and give you an idea of what your home could bring on the market. Reviewing numbers and statistics can put me to sleep, but they tend to be a very necessary part of the real estate business. Reading other “expert’s” interpretations of the market makes me suspicious of the goal of the writer. Realtors tend to try to toss an optimistic view of the market out most of the time in order to try to garner favor with sellers. 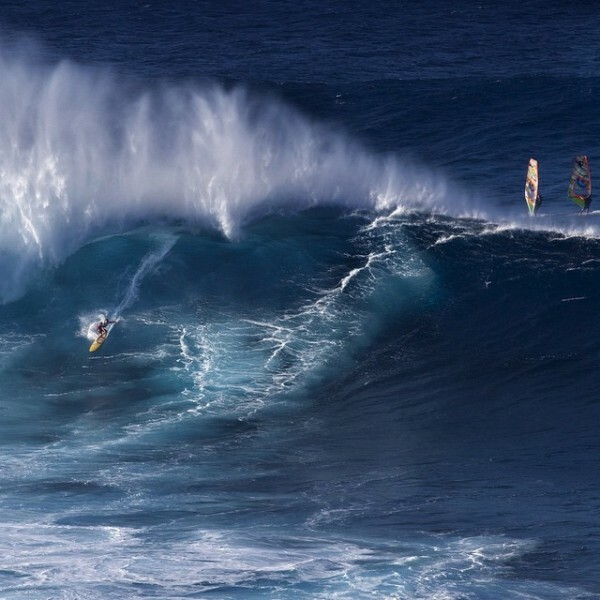 The point of this blog is to show what has really been going on in the market area of Haiku and Paia for 2014. The results are dramatically different and these markets’ performance over 2014 is very different. The front cover our recent printed market report that we just completed. Please reach out directly to us for your personal copy. Kula’s market is healthy, substantially increasing in value and generally appreciating much faster than Haiku. Haiku’s market is appreciating slowly with a very stagnant market over the million dollar price point. The graphs and market stats below are from a little earlier this year as we got caught up with real estate activity and family time later in the year. 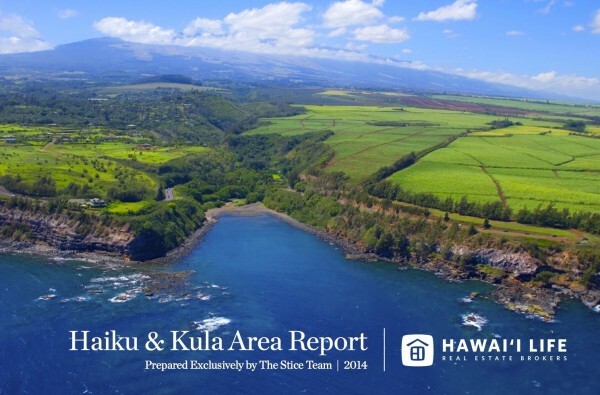 They are from our Haiku/Kula 2014 End of the Year Market Report. Please click the following link if you would like to view the high resolution PDF of this piece as it is easier to read: Haiku Kula Area Report Brochure. What is the most startling difference is the market activity over the $1,000,000 price point. 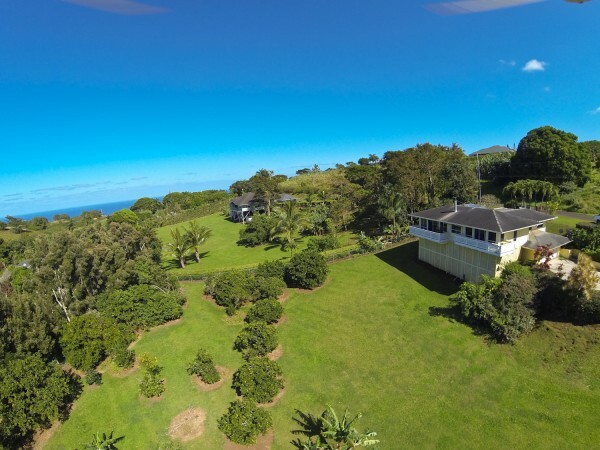 Kula has closed 18 properties over $1,000,000 this year-to-date. Haiku has closed 7. Kula presently has 36 active properties over $1,000,000 on the market, or 21 months supply at a market absorption rate of 1.7 homes per month in this price range. 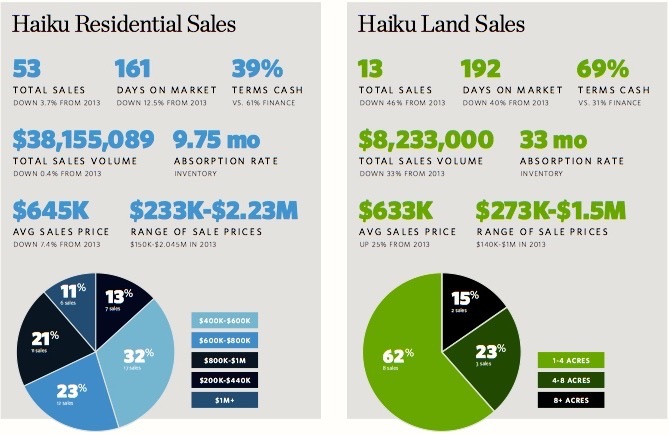 Haiku has 29 active properties over $1,000,000, or 43 months supply at a market absorption rate of .67 homes per month. From the Realtors Association of Maui, year-to-date, Haiku’s average price is up 4% from 2013 and the median is up 10%. 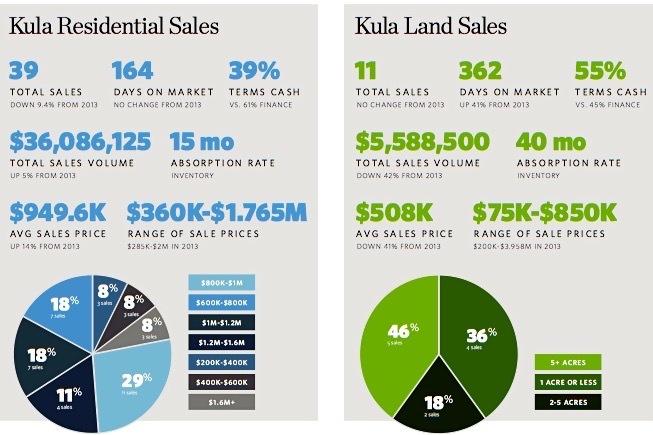 Kula’s average price is up 18% and the median is up 36% from 2013. Given a choice, it appears that buyers looking in the $1,000,000 price bracket and above have gravitated towards the Kula market. 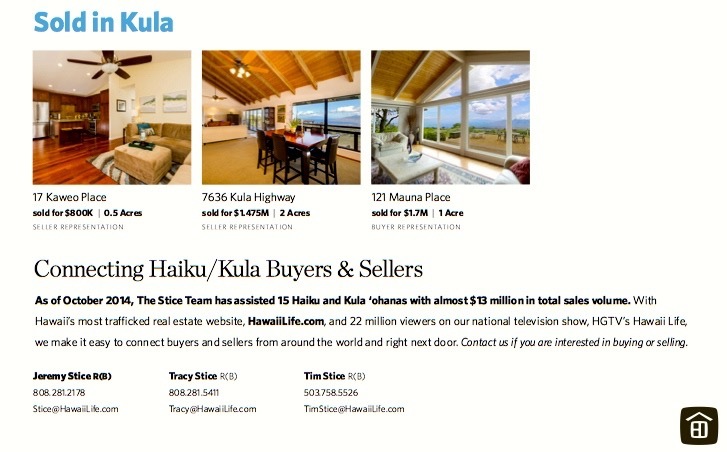 In conclusion, if you are a buyer looking for a great buy over $1,000,000, look in Haiku. There are a lot of great choices available. 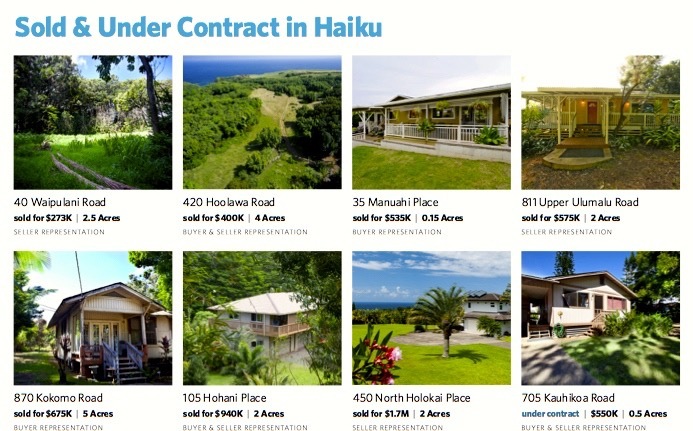 If you are a seller in Haiku over $1,000,000, expect to wait. Unless you really have property in top-notch condition, priced aggressively, and you are really ready to sell right now, you should not have your property on the market. Only 2 homes have sold since May 2014 over $1,000,000 and there is presently only one in escrow in this price range. If you are a Kula buyer, be prepared to pay retail. With prices climbing and no new inventory being constructed, you are limited to purchasing an existing home. If you are a Kula seller at any part of the market, now is the time to consider putting your house on the market. The same rules apply though; your house should be in top-notch condition, and if you want to sell quickly, price it at the market value, not ahead of the market. We want to share our newest listing in Haiku, which is 4325 Opana Place. This 3 bed/2 bath on well landscaped acres has some ocean views, is well kept, and includes a great fruit orchard with incredibly tasty citrus trees. Happy New Year 2015 From the Stice Team! 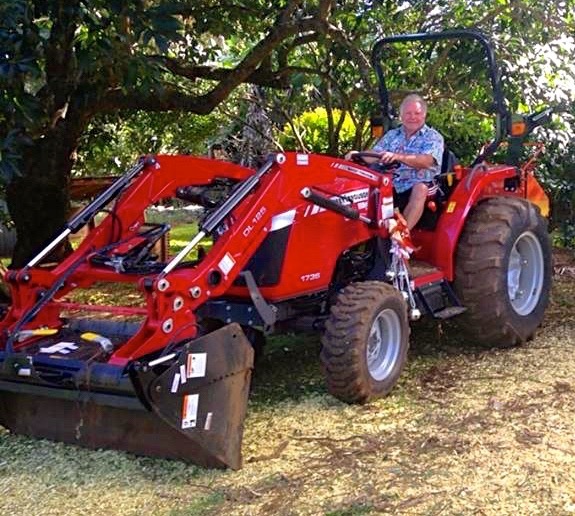 Christmas came a little early for me this year with my new Massey Ferguson tractor that I just got. I love to farm and to play in the dirt, so please be sure to reach out to me if you are looking to buy or sell these types of properties. 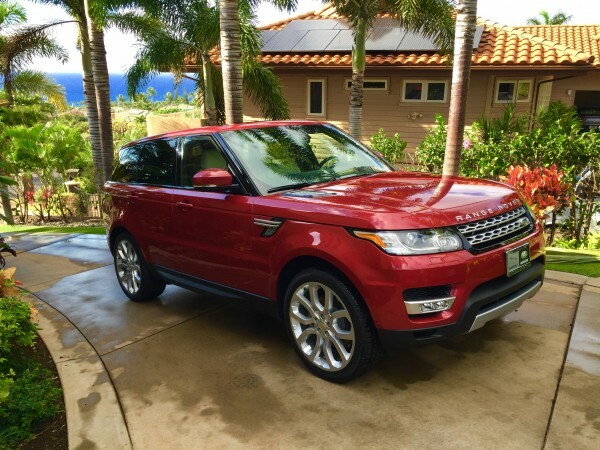 My son Jeremy on the other hand lives in Ka’anapali and focuses on selling resort-type properties and thus his choice of equipment, which he received just before Christmas like me, is more in line with that as you can see below. 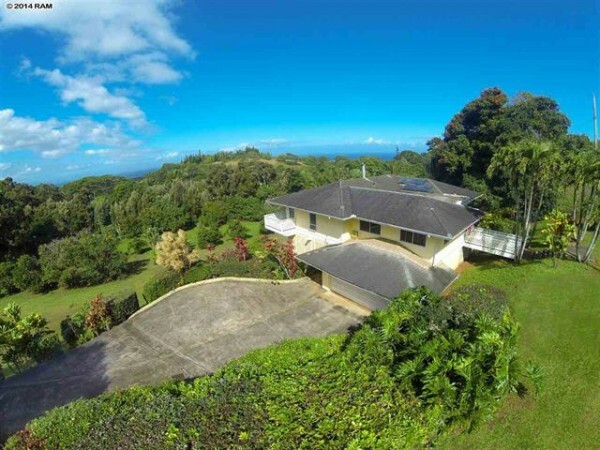 With pristine Haleakala and ocean views, there are multiple prime locations where you can build your off the grid home. This lot has stream frontage on Honokala Stream, great privacy easy access to Honokala Road which is in great condition after a recent re-grading. Adjacent 27 acres , oceanfront ( parcel 19) is available for $2,900,000.